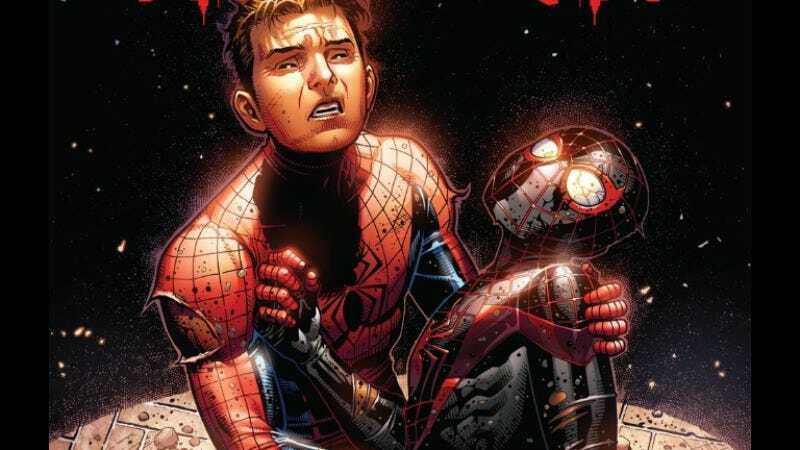 Here’s some news that probably won’t make any sense to someone who doesn’t follow Marvel comics or (apparently futile) internet campaigns: The new Avengers-friendly Spider-Man is going to be a teenager named Peter Parker. After Sony and Marvel announced that old web-head would be joining the Marvel Cinematic Universe, many comic book fans saw it as a perfect opportunity to introduce Miles Morales—the half-black, half-Puerto Rican Spider-Man from Marvel’s Ultimate comics. After all, this would save us poor movie viewers from having to sit through a nerdy, white kid’s high school problems for a third time. Alas, it looks like we’re going to have to sit through a nerdy, white kid’s high school problems for a third time, because Marvel’s Kevin Feige has admitted—in an interview with Collider—that the studio is thinking of the new Spider-Man as a 15-16-year old Peter Parker. We heard a few months ago that Spider-Man would probably be going back to high school, but this is the first confirmation that it will be Peter Parker under the mask. He hasn’t been cast yet, but that classical version of Spider-Man is apparently what Marvel and Sony are looking for. The reasons for this seem obvious (though possibly a bit disappointing), since most of the movie-going public are familiar with Spider-Man as Peter Parker and trying to get people to accept something new is almost impossible in the world of superhero movies. Plus, Feige told Collider that he and the other Marvel people are excited to play around with a character who—by being a young kid—is very different from the rest of the heroes in the MCU. Of course, Miles Morales is also a young kid who wouldn’t really fit in with the other Avengers, but whatever.